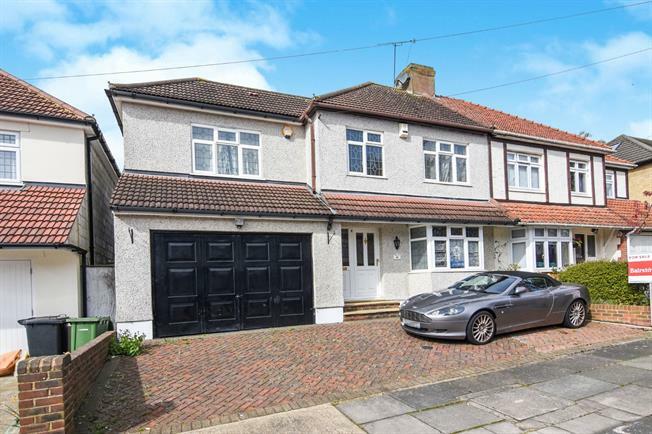 4 Bedroom Semi Detached House For Sale in Romford for Asking Price £550,000. Situated within a cul-de-sac location is this enlarged family home perfect for anyone looking to upsize. Internally to the ground floor is a large living room, fully fitted kitchen and downstairs office. The first floor comprises of four generously sized bedrooms and family bathroom. Externally to the rear is a well presented ample garden, as well as plenty of off street parking to the front.